He was versatile, his attitude was spot on, his work-rate was second to none and he was never a problem. In essence he was a manager’s dream. Now he reckons Arfield can play a pivotal role in bringing major success back to Rangers next season – if Steven Gerrard can improve the squad – because he is the first name on the team-sheet. The 30-year-old midfielder was the star of the show at Fir Park on Sunday as he slammed his first career hat-trick to sink Motherwell 3-0. 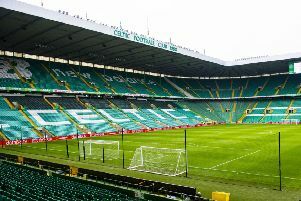 That might have been too late to stop Celtic skating to eight in a row but Hughes reckons if Arfield is joined by four top class signings, then it could be different next season. Hughes said: “I love Scott. I have been on record before as saying he is the kind of player who will end up being first on Stevie Gerrard’s team sheet because he is a managers’ dream. “He can also play sitting midfield, right wing, left wing and come off a striker and into the pockets of space behind him. ‘I’m really delighted for him to see how he is doing. I texted him – I won’t tell you my nickname for him – just to say ‘well done’ and how pleased I was. Arfield made his debut in 2007 at Falkirk under Hughes then moved to Huddersfield in 2010 before joining Burnley in 2013 where he proved his class in the best league in the world. However, when he opportunity came to join his boyhood heroes, he turned to his old gaffer for a little bit of advice, given Hughes’ experience of the Old Firm environment. The former Celtic defender revealed: “He phoned me up when he had the chance to go to Rangers and asked me what I thought. He was thinking about all the Celtic-Rangers stuff and all that. “I asked him where he was going to stay and it was well out of Glasgow. I told him straight away to go for it. “Any player who gets a chance to play for either side of the Old Firm, you go and take it. “The only thing I thought about was that he was coming from the English Premier League. “To go from there and come back to Scotland, you are encountering some very different stadiums – no disrespect to them – than what he was used to down south. “I told him he had to get his head around that, but this was a chance to play for Rangers. Rangers may have left it too late this season - with too many dropped points – but Hughes fully expects a massive challenge from the Light Blues next season with Arfield at the heart of it. The former Hibs and Inverness boss reckons Celtic were too strong this season and remain way ahead. But with uncertainty over Neil Lennon in terms of becoming permanent boss and the likelihood of the departure of a number of key players, it could be a chance for Gerrard to steal a march if he recruits well. 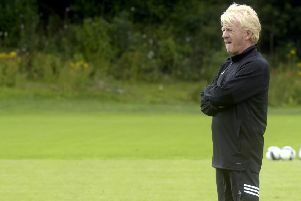 Hughes added: “Celtic are still way out in front. But Celtic have a wee bit of rebuilding to do themselves, with [Dedryck] Boyata probably leaving and even a wee bit of speculation about [Kieran] Tierney. “I hope [Neil Lennon] gets the job there because I think he is good for Scottish football – good, bad, or indifferent – and I like listening to him. “In terms of Rangers, I think they are still three or four short and that’s what they *need to find - and they will. “With the contacts Steven has and the pull of Rangers, I think they will get in the three or four they need. Then it will be all to play for.